Some events are so monumental that they cause you to remember where you were and what you are doing when they took place. 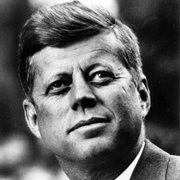 One of those was the assassination of President John F. Kennedy on November 22, 1963. I certainly remember where I was and what I was doing when I received word that President Kennedy had been assassinated in Dallas. I was a 14-year-old ninth-grader at the time. It was early afternoon, and I was sitting in my American history class at Williams Junior High in Davenport, Iowa. The teacher was Ralph Knuth. He was standing at the front of the classroom and a female student teacher — I think her name was Miss Moore or, perhaps, Miss Mohr — was observing class. She was seated near me at the back of the classroom. Sometime after 1 p.m. CST the public address system speaker, located above the chalkboard at the front of the classroom, came to life and interrupted class. It began relaying the audio portion of CBS-TV coverage of what was taking place, and we learned the president had been shot and wounded. “Oh, this is serious,” the student teacher said. Initially, no condition reports on the president were available. The class sat in silence as news reports continued to be broadcast. We heard what we had been dreading most at about 1:38 p.m. when news anchor Walter Cronkite read a report from the AP News ticker: From Dallas, Texas, apparently official, President Kennedy died at 1 p.m. (CST), 2:00 Eastern Standard Time, some 38 minutes ago. Everyone was in shock. Not long after that we were all sent home. Those of us who rode buses to and from school went to the cafeteria to wait until our buses arrived. The atmosphere was subdued, and some students were crying. As I look back on it now, the Kennedy assassination (and other events) ended America’s innocence. Who can now imagine having our president ride along a well-publicized parade route in a open-top car? As a newspaper headline today noted, November 22, 1963, was when America grew up.